Jacobs University in Bremen first opened its doors in the year 2001. As a private, state-accredited university, it offers a Foundation Year, additional pre-degree programs, bachelor, master, and PhD degree programs. Jacobs University emphasizes the high quality of its education by applying innovative curricula, employing highly qualified teaching staff, and guaranteeing the students very intensive counselling. 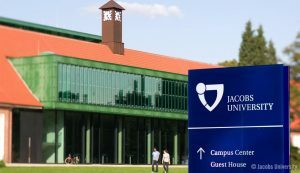 Internationality is in the forefront: Most study programs are taught entirely in English, and young students from more than 100 nations of origin live and learn on the campus of Jacobs University. 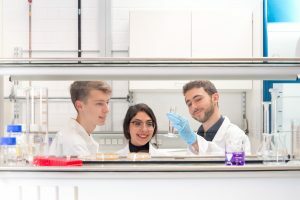 By so doing, students gain intercultural competencies and convince employers of international job markets due to their interdisciplinary and practically relevant education. Many graduates are now working in leading positions in enterprises operating worldwide. About 1,400 international students are currently studying at Jacobs University. The selection of applicants is merit-based: School achievements and letters of reference are just as important as the results of special standardized entry exams. All applicants that are accepted as Jacobs University students share very good academic performances, high motivation, and intellectual creativity. Individual consultation is offered in advance to help the students pick the best suitable study program and plan their personal study path: Questions regarding financing, accommodation, and additional framework conditions are covered in detail as well. With around 70 professors and guest researchers and more than 210 additional staff members in the field of teaching and research, students receive optimal support: The ratio of the total number of students to the total number of tutors is extraordinarily good in international comparison. Jacobs University is equipped with state-of-the-art classrooms, modern teaching technology, and several laboratories. In addition, its ample and secure campus is home to residential colleges, sports facilities, and conference rooms. The different study programs offered by Jacobs University regularly reach top scores within the highly relevant CHE ranking which evaluates the quality of German universities. And the internationally renowned U-Multirank lists Jacobs University among the leading universities in several categories as well. During their study programs, Jacobs University students are supported by the Career Services Center with regard to their successful career entry. Individual job counselling, coaching, and workshops as well as company events are offered regularly by Jacobs University. At the Career Fair which takes place in February, Jacobs University students have the opportunity to meet representatives of renowned companies such as Amazon, Facebook or Microsoft and get in touch with the international alumni network right on site. The current graduation rate of Jacobs University amounts to about 90%. 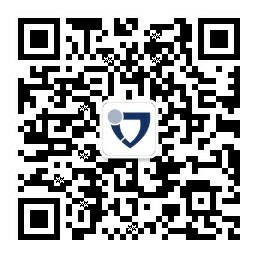 All graduates have excellent career prospects both in Germany and abroad. Jacobs University charges tuition. 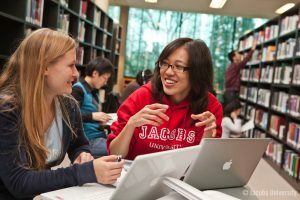 However, it is part of university policy that all applicants who fulfill the necessary preconditions get the chance to study at Jacobs University, despite limited financial resources: Individualized financial aid packages involving grants, scholarships, and tuition deferrals offer a range of possibilities for financial support.